CoilyQueens™ : New Moon trim day! 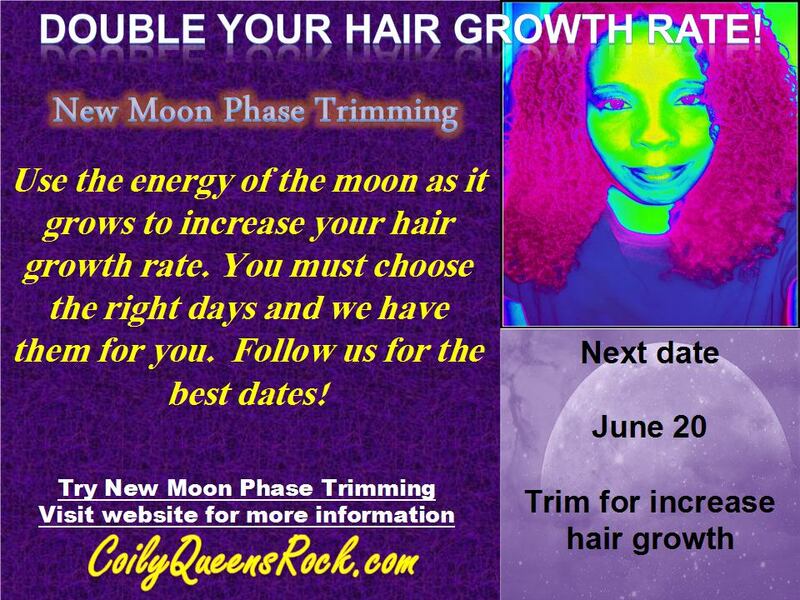 Use the energy of the moon to assist your hair growth! Every 30 days or so, we get a new moon. The moon has different levels of energy as it is growing into a Full Moon. The moon controls the ocean tides, plants and more! We can also use this energy to influence our hair growth. IS YOUR HAIR DUE FOR A TRIM? 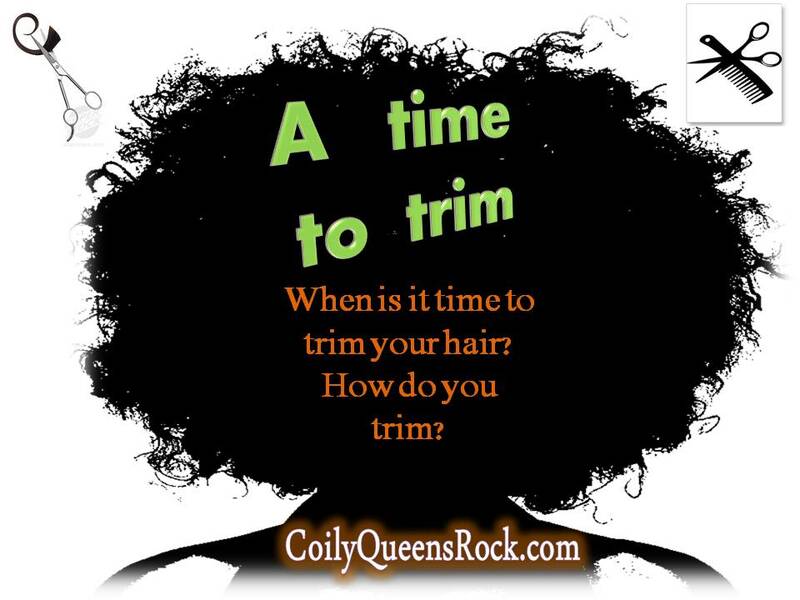 You should have a regular trim schedule. Trim every 4 months. That will give you 3 trims a day. This is great for maintaining healthy hair. So when it is due for your trim. Why not try a New Moon trim? You can easily see the frayed ends on your twists. Do your hair treatments, heat straightening, protein treatments or color on these dates, for the best results. The next, New Moon Growth increasing trim date is June 20th.